Sputnik has obtained new images of a secret prototype of Russia's reusable single-engine hypersonic spacecraft. Russian firm International Scientific Optical Network (ISON) has been tasked with designing and manufacturing the space drone for Roscosmos State Corporation for Space Activities, also known as Roscosmos, is a state corporation responsible for the space flight and cosmonautics program for the Russian Federation. The space drone is expected to complete test flights in 2023. Russia has been extremely vocal about their hypersonic missiles and fifth-generation jet fighters. However, this is the first time we are learning about this hypersonic space drone. 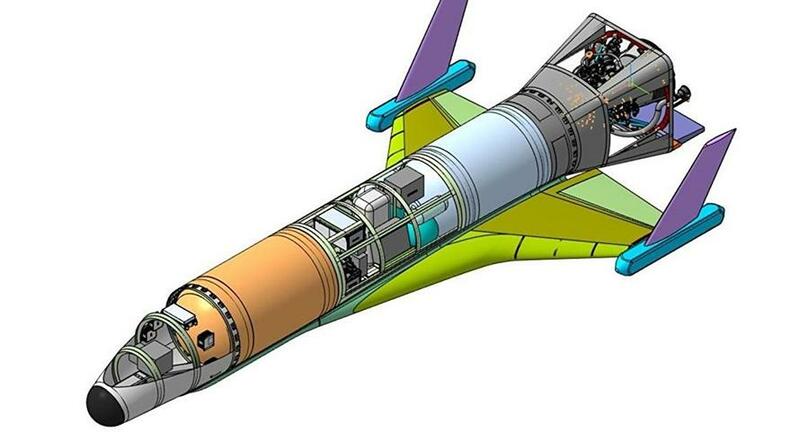 The drone will use old Russian-made parts, including a variant of the 14D30 rocket booster found in the upper stage of a Briz-M space launch vehicle as its primary means of thrust, Yuri Bakhvalov, ISON's director, told RIA Novosti. Based on the dimensions of the Briz-M, the spacecraft is smaller than the US Air Force's Boeing X-37 and the US Defense Advanced Research Projects Agency's XS-1 reusable spacecraft. 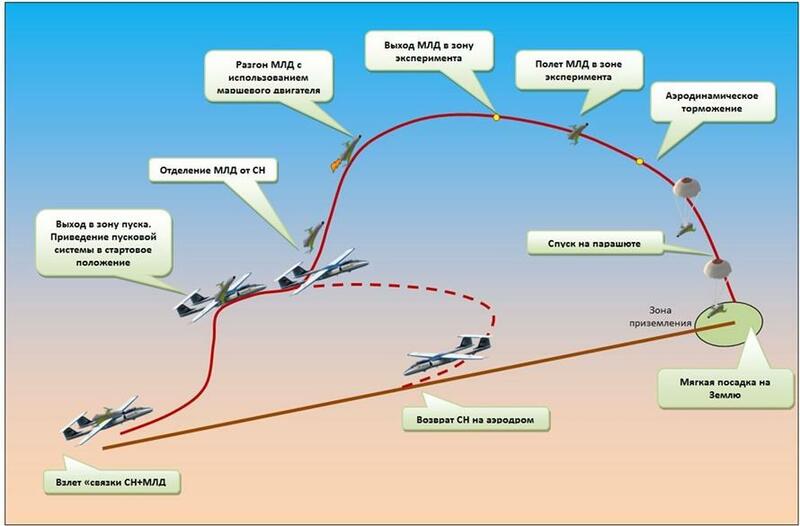 The infographic explains how a heavily modified Myasishchev M-55 research plane (NATO reporting name: Mystic-B) will carry the drone to an altitude between 80,000 and 100,000 feet, then will be air-launched and travel at Mach 7, or roughly 5,370 mph - more than 4.4 times as fast as the Lockheed Martin F-35 Lightning II stealth fighter, to low Earth orbit. The concept art shows a rocket-like cylinder fuselage with a delta wing configuration. Both wings are outfitted with vertical stabilizers pointing up from the edge of each wingtip. The spacecraft has a launch-life of about 50 times, according to RIA Novosti, but there is no internal payload bay for releasing weapons into orbit. Once the mission is completed, the spacecraft will return to Earth by deploying a series of parachutes. And to think one (defective) F35 costs US taxpayers $85 million. According to Bakhvalov, there will be five tests of the spacecraft in 2023. Additional information pertaining to the hypersonic space drone is scant. However, after comparing the artist's conception of the space drone to the US Air Force and DARPA's latest creations, it seems that Cold War 2.0 is more than underway, and this time the most advanced weapons are being designed for a conflict in the heavens.